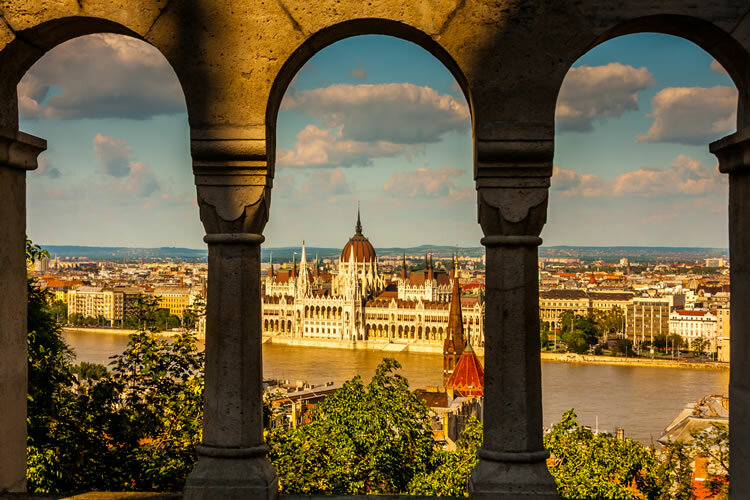 This exciting 9-day holiday introduces you to the people and places along the Danube River on your cruise from Linz to Budapest. Travel and explore in the most active, engaged and fun ways imaginable. With Active Discovery, the choice is always yours: whether you taste locally produced cheese and beer brewed by Trappist monks near Linz, or hike on the trails along the Danube for spectacular views; bike to an ancient border defense near Mauthausen or visit World War II’s largest concentration camp. You can paddle a canoe or meet with a local produce grower in the Wachau Valley - the choice is up to you and your interests. Be introduced to a count in his castle; take a jogging tour around Vienna, or visit the city when it first awakes. Attend a medieval knights’ tournament in Visegrád and end your holiday with one night in magnificent Budapest - with the chance to learn some Hungarian as part of your stay. You’ll feel at home away from home on your Avalon Suite Ship with the attention to service, warmth and exceptional dining options. Explore the Active Discovery cruise experience with new discoveries and active adventures around every corner. Fly to Linz where you will be met and transferred to your ship. Enjoy any free time today by shopping, exploring on your own, or stop in a café for Austria’s world-famous pastries. Active Excursion: Join a guided tour to the “House by the stream” (Haus am Strom) and walk across The Danube Power-Station Jochenstein. Classic Excursion: Visit the stunning rococo-style Engelszell Abbey, and explore its Sensory Garden - complete with stone labyrinth, herb garden and vineyard. Sample cheese and beer made by the resident Trappist monks. Active Excursion: Take a guided bike tour along the Limes Cycle Route and follow part of the northern border line of the Roman Empire. Classic Excursion: Join a sobering guided tour of Mauthausen Concentration Camp, one of the largest and most brutal Nazi camps of WWII. Classic Excursion: Take a guided walk of Grein, including its historic theatre, the oldest in Austria still holding regular performances. Take a hike, a canoe, or a bike to explore Austria’s wine country. Relax this afternoon as you cruise toward Vienna. This evening, perhaps join a guided optional hike through the vineyards outside Vienna, with a wine tasting and dinner at a Heurigen wine tavern. Active Excursion: Paddle a canoe on a guided tour to see the Austrian waterways and shoreline scenery from a different perspective. Active Excursion: Take a guided bike tour from Spitz to Krems and enjoy a stop in Dürnstein to see the mesmerising blue Stiftskirche and to sample local specialties. Discovery Excursion: Join an interactive wine world experience with wine tasting. Discovery Excursion: Enjoy a guided tour that showcases the production of regional fruits, vegetables, wine, or other products. Active Excursion: Take a guided bike tour along the famed Ringstrasse and pedestrian avenues of Vienna. Active Excursion: Join a guided jogging tour of the City of Music to see highlights of the gilded architecture along the way. Discovery Excursion: Get an insider’s tour of Vienna to see special surprise sights, events, or attractions. You will meet locals, have the chance to prepare some food and enjoy other surprises. Classic Excursion: Enjoy a guided sightseeing tour of Vienna, including a tour of Belvedere Palace to see Gustave Klimt’s renowned “Kiss” painting. Discovery Excursion: Take a guided walking tour for early risers this morning - with breakfast at a Viennese café. Classic Excursion: Join a guided tour of the Habsburg family’s private art collection at the Museum of Fine Arts and the Italian or Dutch master works. Classic Excursion: Take a guided tour of the Museum of Fine Arts, followed by the World Museum Vienna, commemorating the past of the Habsburg Empire. Sail to Budapest this afternoon. Take some free time this afternoon to explore the vibrant and stunning city of Budapest. Enjoy a farewell dinner on board your ship this evening. Discovery Excursion: Join a guided excursion to the Medieval Knights Tournament at Visegrád’s Lower Castle, featuring targeting and fighting demonstrations by members of the St. George Knightly Order. Active Excursion: Hike to the castle to visit Count Dracula's prison tower in Visegrád. Discovery Excursion: Enjoy a guided walking tour that includes some “Fungarian” instruction of useful local words and phrases. Active Excursion: Join a guided biking tour along the bike paths of the city. Classic Excursion: Take a guided walking tour of Budapest to see the city’s most iconic sites.